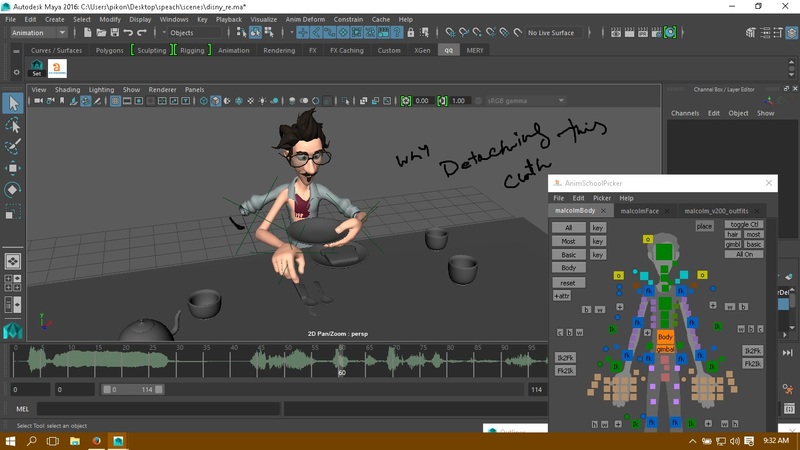 when i animating this malcolm charterer i got problem which is characters cloth detaching. I am given below what the exactly problem. Hello. I wasn't able to reproduce this issue after trying different things. And I'm not sure what could cause that. Have you tried reloading the scene or restarting Maya? Maybe you can use ATOM to transfer the animation to a new reference.